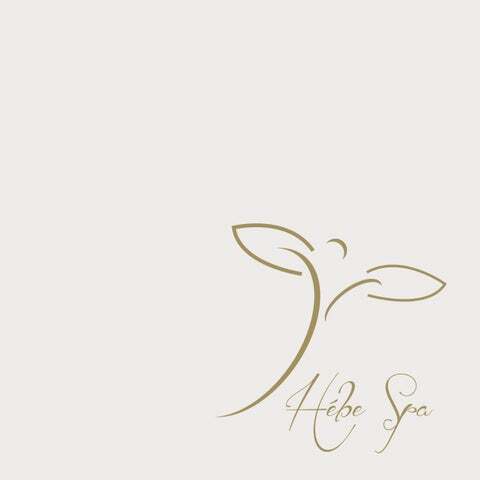 Where Time stands still... “Our Spa name, Hébe, is inspired by the Greek goddess of youth of the same name. Hébe was the only daughter of 3 children born to Zeus and Hera, and known as the cup-bearer of ambrosia, the divine nectar which claimed to bring the gods eternal youth. As portrayed in our logo design, Hébe also means “Flower of Youth” and is a rare, yet versatile, flowering evergreen shrub. The Hébe wild flower can be found in a stunning collection of bright foliage varieties: pink, purple, silver and white; a firm favourite with butterflies, themselves a symbol of beauty and renewal!” The 1,050sq m Award Winning Hébe Spa boasts five treatment rooms, Jacuzzi, plunge pool, sauna and steam room, tennis and squash courts, fully equipped gym and aerobic room with a regular schedule of fitness classes and yoga. Guests can relax in the Temple Lounge after treatments, furnished with its low beds and mountains of pillows. A Cocoon seating area has white drapes for discreet consultations before therapies commence. The main hall which houses the spa reception and retail area is dominated by a heated indoor swimming pool which flows into the outdoor lagoon style pool. Last, but not least, the finest treatments selection from the worlds best known brands will suit everyones needs. Ocean’s Treasure 1Day - ¤191 Exotic lime & ginger salt glow, Relaxing massage, Modern skin facial. Pure Delight 2Days - ¤225	Cellutox aromaspa ocean wrap, Hébe Ritual, Pro-collagen quartz lift facial. Mediterranean Cleanse 3Days - ¤386 Exotic lime & ginger salt glow, Cellutox aromaspa ocean wrap, Body sculpting cellulite & colon therapy, Exotic frangipani body nourishing wrap, Rejuvenating green tea & herbal wrap, Rose blossom facial. Bride to Be - ¤214 Pro-collagen French manicure, Sole delight French pedicure, Bridal makeup (one trial included). For The Groom - ¤153 Deep tissue muscle massage, Pro-collagen manicure, Sole delight luxury pedicure. Hébe Spa Signature Treatments The island of Cyprus is famous for being the birthplace of the mythical goddess of love Aphrodite who, legend says, emerged from the seas close to Pissouri Bay. The island is also known for its genuine hospitality as well as its warm sunshine which contributes to its reputation of being ‘The Garden of the Mediterranean’. This small country boasts soil so rich that its high quality products are exported worldwide. Citrus fruits such as grapefruit, limes, lemons and oranges grow in abundance across Cyprus along with grapes, olives, aromatic herbs and so much more. We have selected the island’s finest natural ingredients and used them to create new, indulgent spa treatments to rejuvenate and renew, all unique to the Hébe Spa. Hébe Ritual 1h 10min - ¤90 From the tips of your toes to the crown of your head, this treatment is much more than just a massage. Relax while your feet are bathed in a scents of natural aromatic soap and a blend of pure essential oils are massaged in to the skin of your body. Feel reborn and renewed like the Goddess of youth, Hébe. Amphitrite Sea Holistic Journey 1h 20min - ¤100 This unique treatment focuses on well-being, working out physical tension while freeing the mind of negative emotions. Using toning body scrub, which gently exfoliates the skin, followed by Thai-inspired massage techniques, using bolus filled with pure lavender flowers for total relaxation of mind and natural sea salt for cleansing the body. A true delight for the skin and the senses from the Goddess of the sea, Amphitrite. Therapeutic Massage 55min - ¤85 A medium to stronger pressure massage, tailored to everyone’s individual needs. Helps to ease aches and pains and leave you totally relaxed. 25min - ¤55 A medium to stronger pressure massage for the back, neck & shoulders, tailored to everyone’s individual preference. 55min - ¤110	This massage is especially beneficial if you are suffering from aches, pains and stiffness. A full body deep tissue massage to ease tense muscles. Reflexology 40min - ¤80	Using ancient Chinese techniques, reflexology works on the principle that all our organs are represented in the feet. By working on these points, our therapist can help to rebalance and obtain harmony for body & mind. - ¤90 Is a spiritual practice, a non-contact healing. Using a technique commonly called “palm healing’’ or “ hands on’’ healing, this is a form of complimentary therapy and is sometimes classified as oriental medicine. Through the use of this technique, practitioners believe that they are transferring universal energy through the palms, which allows for self-healing and a state of equilibrum. - 造90 Alleviate stress, ease aching muscles and revive the senses with this powerful, customised massage. Dynamic blends of Essential Oils are prescribed to target individual necessities and reduce specific stress and muscle tension. Choose from: Stress-a-Way: Wind down and release tension of the day. Spirit Reviver: A powerful surge to invigorate and recharge. Muscle Melt: Relax and re-energise a tired and aching body. Chakra Balancing: Reconnect your mind, body and soul. Massage adapted to each stage of pregnancy. This inspirational therapy connects mother and baby through the power of touch, working with two heartbeats as one. Specialised positioning on the unique Elemis beanbag is used to ensure the ultimate in safety, comfort and relaxation. Helping to relieve tension in the back and alleviating swelling in hands and feet, while easing the mind and uplifting the spirit. - 造110 Hot Stone Massage is a unique treatment of heated volcanic stones applied with preblended oils to the body in ways that relieve sore and stiff muscles, releasing tension, to bring about tranquility and a more balanced flow of energy. MediSpa Corner The future is here! Hébe Spa presents a revolutionary solution to looking younger with treatments directly inspired by aesthetic surgery, combining the performance and technology of medical expertise with the gentle touch of Spa care! 3D Wrinkle Facial Treatment 55min - ¤115 A medically inspired, extremely advanced technical treatment. An alternative to aesthetic surgery, that mimics 3 procedures: *Botulinum Toxin injections *Hyaluronic Acid injections *Facelifts We use specially designed, powerful products; working on each expression line to stimulate collagen synthesis. Reproducing the stimulating method of aesthetic, needless mesotherapy, we follow up with a firm massage; adopting the techniques of lymphatic drainage used post surgery. Acid Peel Facial Treatment 55min - ¤95 This acid peel facial treatment ensures complete resurfacing of the skin, to correct skin imperfections and signs of ageing. Guaranteed immediate, visible results with optimum skin tolerance. Acid Peel Body Treatment 50min - ¤85 3 new cutting-edge professional products, that instantly provide visible results, after just one treatment. Using mechanical and chemical exfoliation followed by a replenishing massage.Wrinkles on hands and décolleté are reduced, skin is toned and smoothed. Daniele de Winter Facials Fragrant Jasmine Rejuvenating Facial 1h 10min - 造100 A firming, lifting, anti-ageing therapy using specific techniques to tone facial muscles and stimulate collagen synthesis, for a luminous, youthful complexion. Also suitable to combat the signs of jet lag. Rose Blossom Facial 1h 10min - 造100 A nourishing, hydrating treatment to replenish dry skin and smooth away fine lines. Containing precious botanical extracts, that develop their revitalizing, rehydrating effect for days after the treatment is over. Tri-Enzyme Resurfacing Facial 55min - 造90 Peel away the years for smoother, more radiant skin. This ground-breaking anti-ageing facial instantly resurfaces and smoothes the skin. This unique treatment targets blemishes, uneven skin tone, superficial scarring and fine lines, revealing a younger looking skin.Pioneering the precision layering of 3 targeted enzyme serums, this advanced resurfacing technique safely and effectively removes the thickening layer of the epidermis. Skin is left incredibly clean, smooth and radiant, bringing a renewed level of evenness and clarity to the complexion. Anti-wrinkle facial with proven results. This exceptional anti-wrinkle facial has been independently tested, with phenomenal results. Specialised lifting massage techniques are combined with professional strength anti-ageing formulations for maximum treatment efficacy, leaving a firmer, uplifted, more youthful looking appearance. Elemis Skin Solutions Facials Modern Skin Facial 55min - 造85 Rebalance and restore radiance to stressed skin. Designed for challenging skin, reacting to the stresses of modern living. Bursting with anti-oxidant rich minerals and vitamins, this purifying treatment helps remove damaging toxins, regenerate skin cells and rebalance sebum. The results; a clearer, radiant and more balanced skin. Oxygen SkinCalm Facial 1h 10min - 造90 Pure soothing heaven for sensitive skin. Gentle massage techniques are combined with calming actives and a restructuring Japanese Silk Mask, infused with Absolute SkinCalm Booster Serum, to help rebalance delicate, fragile and sensitive complexions. Helping to relieve redness, this superior face and eye treatment offers immediate comfort to stressed and irritated skin. S.O.S. Purifying Facial 1h 10min - 造90 A purifying treatment for congested skin. A powerful face and eye treatment that helps regulate and balance the function of the skin. Purifying massage techniques, combined with the unique Japanese Sulphur Mask, infused with Absolute Vita-C Booster Serum, help to absorb sebum, calm irritation and rebalance oil-rich pores, leaving a beautiful matt complexion. Taster Facial 25min - 造30 This introductory facial provides a quick and instant pick-me-up for any occasion. Advanced Anti-Ageing Facial for Men Skin IQ+ Facial 1h 10min - 造95 Anti-ageing booster for tired, stressed skin. Charged with the clinically proven, anti-ageing Time Defence Wrinkle Delay and Time Defence Eye Reviver, this treatment is tailored to meet the needs of a hectic lifestyle and to combat the harsh, ageing effects of frequent shaving, environmental pollution and travel; giving men the ultimate skin overhaul with maximum anti-ageing results. Deep cleanse and complete skin detox. This super-grooming facial works overtime to help eliminate blocked pores, rapidly accelerate skin repair and neutralise impurities. Fast-acting ingredients reduce sensitivity and provide long-lasting defence against the damaging effects of daily pollutants, leaving the skin visibly clear and squeaky clean. Absolute Spa Ritual 1h 55min - 造135 The ultimate skin and body therapy, for maximum results. Choose from one of the unique Elemis Advanced Anti-Ageing or Skin Solutions Facials and combine it with the powerful effects of the Elemis Deep Tissue Muscle Massage. Two hours of pure relaxation with dramatic results! Daniele de Winter Body Therapy Rejuvenating Green Tea & Herbal Wrap 1h 10min - ¤75 Cleansing, rejuvenating therapy using DeW’s energizing, antioxidant green tea wrap. Saturates skin with antioxidants, improves skin smoothness and promotes the elimination of toxins. Purifying Seaweed Wrap 1h 10min - ¤75 Slimming, firming therapy using DeW’s re-mineralising, detoxifying seaweed wrap. Promotes the reduction of cellulite and promotes firmer, tighter body contours. Elemis Body Therapy Exotic Lime and Ginger Salt Glow 40min - ¤50 Invigorated, cleansed and polished to perfection. A body exfoliation ritual to invigorate and revitalise the body. After light body brushing, warm oil is dripped luxuriously over the body, before the sublime Elemis Exotic Lime and Ginger Salt Glow is applied. Skin is deeply cleansed and moisturised, leaving it glowing and vibrant, replenished and flawless. Redefine and smooth your silhouette. The Body Sculpting Lipo-Refining Serum and Body Sculpting Firming Cream target stubborn cellulite and sagging skin, for visible, rapid results. A detoxifying Fennel and Birch peel off body mask is also applied and combined with specialist massage techniques to deeply cleanse the body’s systems, helping firm and smooth skin, stimulate circulation and reduce fluid retention. Cleansing of the colon through abdominal massage helps to detoxify the body, working from the inside out. Exotic Coconut Rub and Milk Ritual Wrap 40min - ¤65 Pure sensuality to enliven the senses. Warmed Elemis Skin Nourishing Milk Bath is poured all over the body before being cocooned in a comforting foil wrap. This opulent exotic therapy is excellent for skin smoothing and softening, all combined with a pressure point facial massage and de-stress scalp treatment. For immediate softness and suppleness. Aromatic Tahitian Coconut and Frangipani flowers are soaked together to produce “Monoi’’ which is poured all over the body and then cocooned in a nourishing foil wrap. Drenching the skin with moisture, this exotic therapy provides ultimate radiance, vitality and all-over body glow. A deeply detoxifying blend to decongest and stimulate the system. Forget your troubles whilst you are cocooned in a comforting foil wrap and treated to a pressure point facial massage and de-stress scalp treatment. Combining the richness of sea plants and Marine Algae, this therapy helps refine the appearance of cellulite and relieve the discomfort of fluid retention. The body is re-energised and skin is left silky soft and smooth. Powerful seaweed wrap for complete muscle relaxation. Drift away whilst you are cocooned in a comforting foil wrap and treated to a pressure point facial massage and de-stress scalp treatment. Using a warming blend of Essential Oils, this specialised treatment helps ease aching, tense muscles. The healthy way to radiant sun-kissed skin. We know the sun is good for the soul, but not necessarily for the skin, so fake it with this rich and sensual treatment. The Elemis Total Glow Self Tanning Cream mimics the skin’s natural colour and helps give a warm glow within 2-3 hours. Hands and Feet Pro-Collagen Manicure 55min - 造40 A revitalizing nail, hand and arm therapy that will leave your skin soft, silky and hydrated; your nails and cuticles in great shape and your colour fresh and hard-wearing. Your hands will be soaked, buffed and moisturized and then we will treat your hands and palms to a relaxing massage. Nails are finally polished in your chosen shade - including top and base coats. A full spa manicure followed by an application of French nail polish. Activities The spa runs a timetable of exercise classes for guests every day, from Monday to Friday, including Pilates, Yoga and Stretching as well as fitness sessions. There are squash courts in the spa and flood-lit tennis courts on site - all can be booked and equipment hired. We can also arrange private tuition from our expert fitness instructor. Please enquire at the spa reception for more information. Please arrive 15 minutes before your treatment. Prior to your treatment you will be requested to complete a Health & Lifestyle questionnaire. Time loss through late arrival may result in shortened treatments without refund. It is highly recommended to book your appointments well in advance. To avoid any disappointment, either phone our Spa reception on extension 765 from your room or call 25 833765 or visit the Hébe Spa personally. We kindly request that guests do not wear jewellery when using the Spa. For safety reasons, valuables must be deposited in the room safe. The Hébe Spa is not responsible for loss or damage to guest’s personal belongings. All our therapists are trained to ensure your privacy and comfort at all times. Persons under the age of 16 are not allowed in the Gym, Jacuzzi area and may not book a treatment. Childrens swimming time in the indoor pool is from 9:00 a.m. to 14:00 p.m. in the summer and 9:00 a.m. to 20:00 p.m. in the winter. Children must be accompanied by parents at all times. For in-house guests, we recommend wearing the robe and slippers provided in your guest room. Alternatively, we can provide you with a robe and slippers at the Spa. During some Spa treatments you will be provided with a disposable undergarment by out therapist and you will be draped appropriately at all times. Kindly note, swimwear is compulsory while using any public areas of the Spa. During treatments, please let your therapist know if you are comfortable or uncomfortable, too warm or too cold, or if their pressure is too light or too firm. Your comfort and care is our greatest concern and priority For best results we recommend that men shave a few hours prior if having a facial treatment. We also recommend before any Spa treatments, for ladies to remove all make up. If you have a particular injury or physical condition, please explain it to the therapist. They can suggest appropriate adjustments to the treatment for your comfort and enhancement.There is no pressure to talk during a treatment. It is entirely up to you. If you have any questions or would like to talk, certainly do so. The therapist will take their cues from you. If you are quiet they will be too. Please note that a 50% cancellation fee will apply should you cancel your appointment less than 12hours prior to the scheduled time or should you not show for the appointment. To preserve the Hébe Spa tranquil environment, we respectfully request that you leave your mobile phones switched off in your locker. This is the time for your body and mind to release worries and stresses of the day. Please remember Hébe Spa is a Non Smoking area. Please conduct all conversations at levels consistent with a relaxing Spa environment. From one day passes to annual memberships are available. Please contact Spa Reception for more details. Kindly shower before using sauna, steam room or swimming pool. A towel should always be placed on the sauna bench when sitting, due to being a common area. Please Do Not add oils or other products to the sauna bucket without first speaking to a member of staff. Gym & Fitness areas Please place a towel provided between you and the fitness equipment when exercising and wipe down after use. Use of all gym equipment is purely at the individuals own responsibility and risk. Squash and Tennis courts are by appointment and subject to availability. Appropriate fitness attire is required at all times.